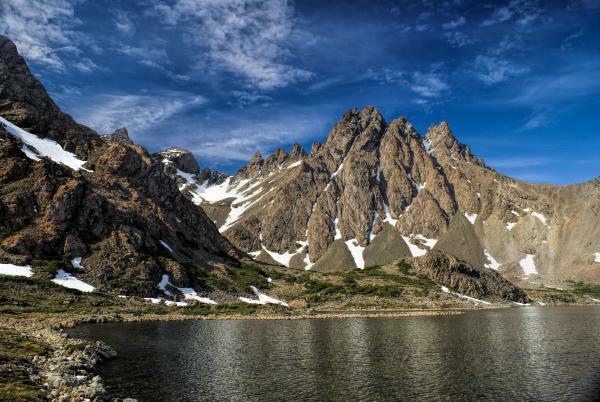 Walk through the Dientes de Navarino massif at the far end of South America, trekking along rural roads through and alongside forests, valleys, ponds, lakes, and rivers. 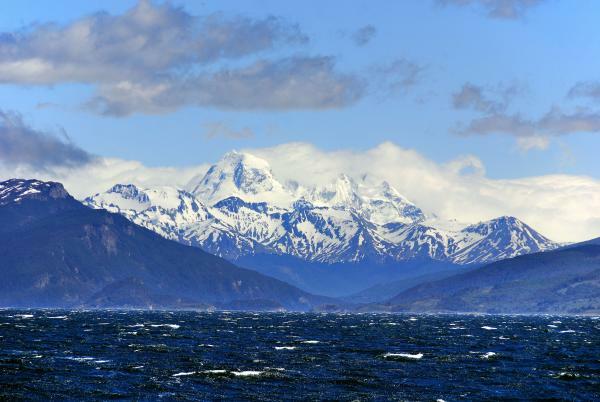 At the summit of your trek, take in stunning views of the Beagle Channel, the cities of Puerto Williams in Chile and Ushuaia in Argentina, Nassau Bay, the Wollaston Archipelago, and the mythical archipelago of Cape Horn. 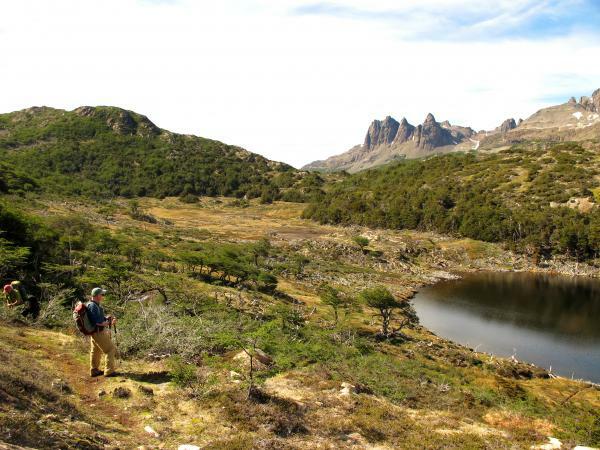 Explore majestic Patagonia on this 6-day hiking adventure! Fly from Punta Arenas to Puerto Williams. Enjoy the beautiful scenery, as well as an afternoon outing to the OMORA Ethno-Botanical Park to experience the miniature forests of lichens, mosses, and bryophytes with “turismo con lupa” (magnifying glass tourism). Finish your day with a nice dinner and a briefing about the next day’s excursion. Start the Dientes Circuit today! Take in the amazing views of the Beagle Channel and Puerto Williams during the trek toward Salto Lagoon for the first night of camping. Depending on weather conditions, your guide decides which of the two possible paths to take: the high end slope of the Robalo Valley or from the back of the valley. Either way, the landscape is sure to amaze you! Arrive to the camping point in time for a hot dinner. 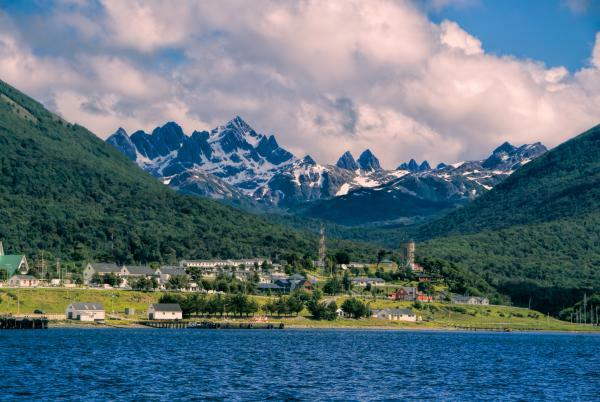 Cross the Dientes de Navarino Cordillera while enjoying the breathtaking views of Nassau Bay and Wollaston Islands - both part of Cape Horn. After passing by several lakes, climb the Ventarron path (2283 feet) for an incredible perspective of the Dientes de Navarino and Mount Codrington. Continue to be in awe of the landscape with every step along the way to Laguna Martillo, your second camping site. Continue to the Guerrico Valley by walking through beautiful forests and experiencing amazing vistas of Montes Lindemayer. 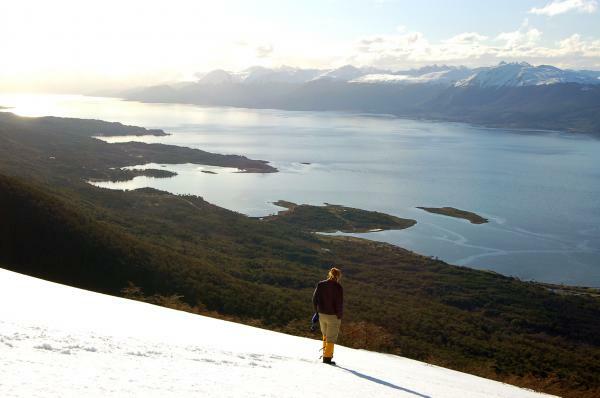 You then climb Virginia Pass (2820 feet high), where you have time to take in the sweeping views of the mountains and sea of Tierra del Fuego! Reach the campsite in time to enjoy dinner and get some rest. You have reached the final day of your trek! This morning, head downhill toward the ocean until reaching the Lakutaia Lodge in time to enjoy a nice lunch. The remainder of the day is yours to rest, walk around the village, and share stories about your experience on the southernmost circuit in the world! Dinner waits for you at the lodge at the day's end. After breakfast, fly out of Puerto Williams to Punta Arenas. Flights from Punta Arenas to your next destination must depart after 3:00 pm. Final payment is due days (10 weeks) prior to departure by bank transfer, check or credit card. All final payments by credit card may be subject to a surcharge and maximum of $20,000 charge.